Weblon Regatta® is an all-weather boat fabric that’s built to withstand the rigors of the marine environment. 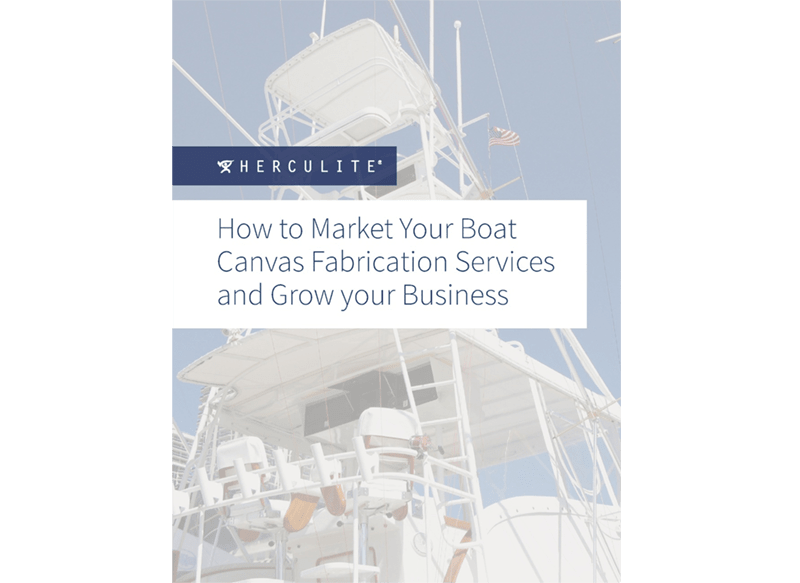 Boat fabrics must stand up to intense sun and harsh weather without fading, stretching, or fraying, and our waterproof boat fabric is up to the task. When you use Weblon Regatta® for your Bimini tops or boat covers, you’ll cover your marine craft with an attractive look your customers will love. 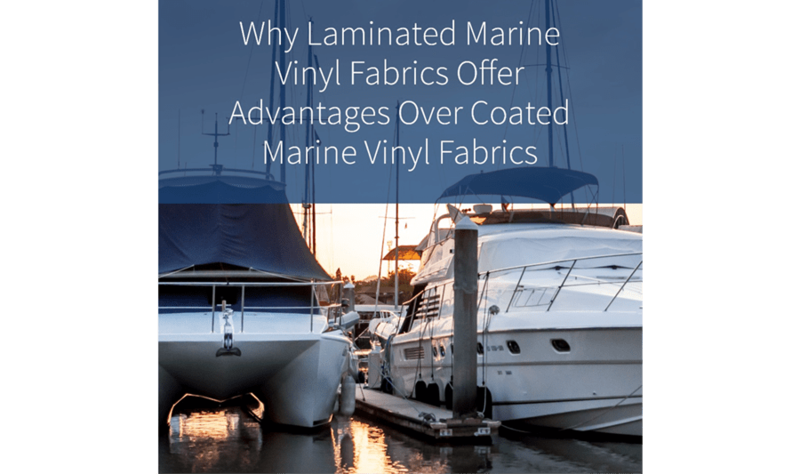 Our marine fabrics are made from strong, flexible polyester fibers with a vinyl coating that makes them waterproof and resistant to wear and tear. Regatta’s exclusive Rain Kleen® coating ensures that your Bimini top, dodger, or other type of enclosure stays true to its original color. It will also ensure that your craft is safe from the harsh effects of sun and spray. Weblon Regatta® is a worry-free solution that overcomes the challenges all-weather boat fabrics face. These features make our Weblon Regatta® fabric stronger and more durable than other marine fabrics, which are excellent sell points to highlight to your customers. Weblon Regatta® is stretch-resistant to maintain the shape your customers want. It bends around curves and corners, covering the most challenging enclosure or boat shapes with ease. Once sealed, it resists stretching and maintains its shape to avoid warping and sagging. 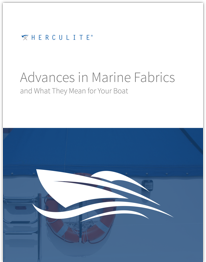 Where other fabrics bow and bend in the harsh marine wind and rain, our stretch-resistant boat fabric stays true to the shape your customers paid for when they imagined the look and shape of their boat cover. Weblon Regatta® is also an easy-to-clean boat fabric — most cleanings only require a quick hosing or a light cleaning with a soft bristle brush. No harsh chemicals or hard scrubbing that might affect the shape are required. Your customers are sure to find the style they want with Weblon Regatta®. 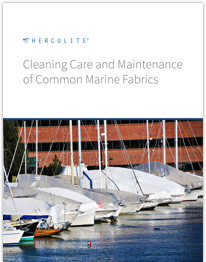 Our five (5) year manufacturer’s limited warranty also reflects our confidence that our boat fabrics are built to last under any situation. 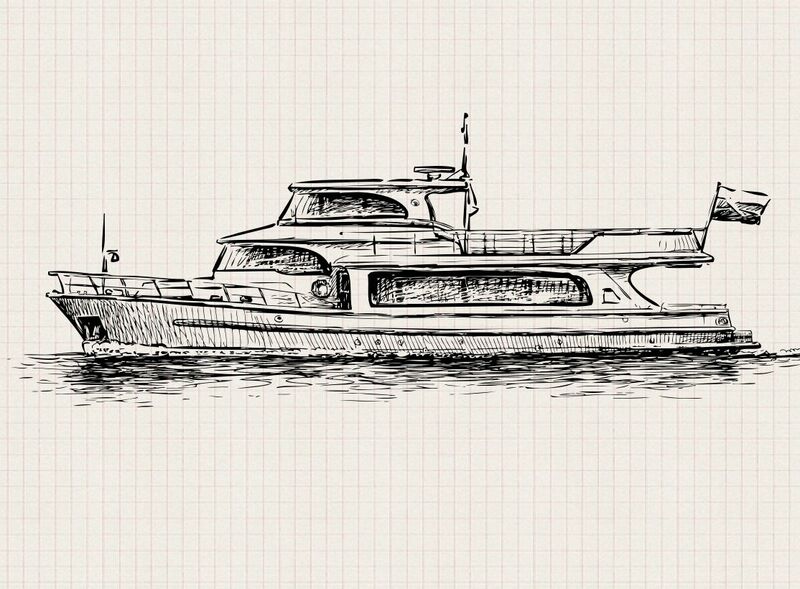 Interested in learning more about Weblon Regatta® waterproof boat fabrics? Contact us online or give us a call at 800-772-0036 to request a quote. Our staff would love to answer any question you may have! Description Vinyl composite on a weft insertion scrim base of high tenacity filament polyester. Surface Top surface treated with Rain Kleen® for color retention and prolonged fabric life. Transparency Some light color shades offer good illumination. Heat Sealability Excellent. Can be sealed by hot air weg welder or radio frequency bar type. 1. Keep clean. Occasional hosing with clear water will prevent dirt accumulation. Most dirt accumulation can be removed by mild soap, water and a soft scrub brush. Rinse thoroughly. In extreme cases, most dirt can be removed by applying half strength bleach and brushing softly to cover thoroughly the necessary area. Allow solution to remain for two or three minutes, then thoroughly rinse with clear water, protecting surrounding materials or plant growth that might be damaged by the bleach. 2. In areas particularly conductive to mildew, brush away any visible accumulation of dirt on underside. Mildew can grow on dirt, but does not grow on or attack the Regatta® vinyl. 3. Use care during installation, take down and transporting. Frictional heat, particularly at the folds, can damage the surface. Sufficient frictional heat can create holes. 4. Avoid excessive wind whip or flapping. Normally fastened sections or panels should be rolled or restrained when not in use. 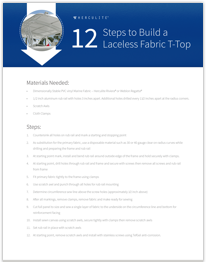 In the unlikely event of failure of fabric during the five (5) year period from date of original installation, we will supply you, the original owner or the provider of your protective fabric accessories with replacement fabric at no charge. This warranty protects you against damage to the fabric accessories used under normal conditions. It does not cover damage to the fabric from acts of God, vandalism, neglect or improper use. This warranty is in lieu of all warranties expressed or implied, and, Herculite Products Inc. will not be liable for any consequential or incidental damage. Any implied warranties imposed by law are limited in time to the duration of the expressed warranty. Some states do not allow limitations on how long an implied warranty lasts or the exclusion or limitation of incidental or consequential damage, so, the above limitation or exclusion may not apply to you. This warranty gives you specific legal rights and you may also have other rights which vary from state to state. Interested in learning more about Coastline Plus® awning fabrics? Fill out the form below or give us a call at 800-772-0036 to request more information or for a quote for your home or business. 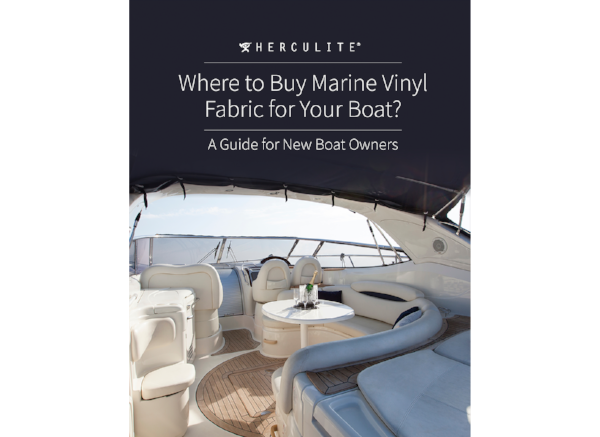 Want to check out Herculite’s fabrics first hand? Request a fabric sample today by filling out the form and we’ll send you a sample in the mail. 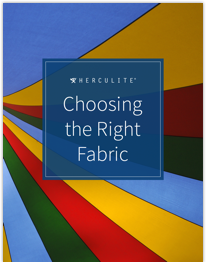 Interested in Herculite awning fabrics?